This article is intended to familiarize the reader with basic measures of socio-economic development before and after Bulgaria's accession to the European Union. 1. Data from GDP changes during the period under review do not allow a firm conclusion to be made for a sustainable positive impact on the welfare of the population in the country. Obviously, trends are influenced by the EU situation. Stiglitz notes: ‘The euro area GDP, with a correction for inflation, has been stagnating for over a decade. GDP in 2015 was only 0.6% above that for 2007’. 2. With regard to employment and unemployment, it should be noted that after 2007, the figures show a decrease in the number of employed. At the same time, there is a tendency towards a decrease in the number of unemployed persons after the country's entry into the EU. 3. Household income and expenditure data show no positive changes in the financial situation of households in the country relative to economically developed countries. 4. The data for the next measure - inflation, show that before the country's entry into the EU it is higher than in the period afterwards. 5. The data on poverty estimates show that our country has not had any significant success after the EU accession to reduce the phenomenon of poverty. Measures of the economic situation over the period under review mutually influence each other and correlate. To a great extent, these relationships and dependencies are influenced by many other negative factors such as hidden economy, emigration and demographic crisis. This article is intended to acquaint the reader with an opportunity for practical application of ‘BIG DATA’, which was realized in the framework of an empirical research carried out by an NSI team on the topic of ‘Extracting information from the Internet for business features of enterprises (web-scraping)’. The Introduction of the article explains in detail the main purpose of the conducted empirical study, which is aimed at exploring the possibilities of applying ‘web-scraping’ and ‘text mining’ techniques and evaluating the effect of their use in the process of data collection and quality improvement of enterprise information from the NSI Statistical Business Register through access to their websites. Chapter I presents in detail the technological environment for the implementation of the empirical research, including a common reference logical architecture for the application of ‘web-scraping’ techniques. A detailed characteristic of the ‘web-scraping’ technique is presented and the cases in which various types of specific and generic ‘web-scraping’ are used is made. The presentation in Chapter II is devoted to the practical realization of the four pilot ‘scenarios”. The conduction and analysis of the results of the various ‘use-сases’ is presented in an analogous sequence - objective, resource and technological provision, results achieved, and legal constraints. Statistical observation of consumer prices in the Republic of Bulgaria started in May 1990. On this basis begun the calculation and publication of the Consumer Price Indices (CPI). In its 28-year history, the CPI has constantly evolved and perfected. Since June 1990, when the CPI is first produced and published, a process of implementation of established international statistical standards is underway both in the construction and production of consumer price indices. This is a continuous process whose main objective is to improve the quality, timeliness and reliability of statistical information on consumer price indices. In the period 1990-1997, a number of improvements were made in CPI calculations based on the need, in the period of transition to market economy, for consumer price statistics in order to provide adequate assessments of their dynamics, in line with international statistical practice and statistical theory. From 1998 until the accession of Bulgaria to the European Union (EU) in 2007 NSI's efforts were aimed at harmonizing of the construction and production of consumer price indices with EU legislation. As a result of the phased harmonization process from January 2007, the NSI produces a harmonized Consumer Price Index (HICP) which fully complies with the requirements of the European regulations on consumer price indices. The National CPI has also been refined in a number of aspects, which has improved the quality of inflation measurement in the country. Since 2007, as a member of the European Statistical System, the NSI has been involved in the development and application of a uniform methodology of statistical surveys in the field of consumer prices, which ensures quality, comparability and compatibility of the results obtained. The improvement of consumer price indices was mainly focused on the introduction of newly adopted EU regulations in the field and on improvement of the quality of the indices produced. Indices similar to PPS will be built using data from HBS, but at a local level (for Bulgaria), with which household incomes will be adjusted. The first part of the article focuses on the building of price indices, while the second part discusses how these indices can be used. This article focuses on the personality of Academician Ivan Stefanov as a scientist - mainly a statistician, as well as a demographer, financier and generally a distinguished researcher. His public-political activity is no less great, but in the article, it is mostly marked in general terms. Academic Stefanov's entire academic research is distinguished with an in-depth and competent research approach, insightful analyses, reasoned assessments, and thorough logical thought that reveals the links between statistical practice and statistical theory and methodology. Briefly reviewed is his rich life path, combined with research and pedagogical activity. Outlined were the main creative moments: Ph.D. Study in Germany, accumulation of expertise in the Directorate General of Statistics, participation in the periodical press with scientific papers, surveys and analyses on topical issues of economic and social life (1927 - 1935). Strong creative results marks the period 1937 - 1946. 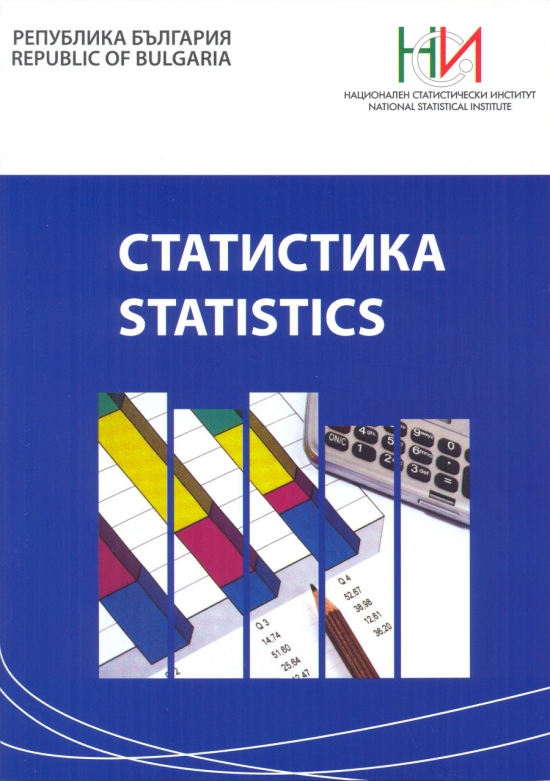 The contribution of Academician Stefanov for the development of statistical studies in Bulgaria and the formation of statistics as a science together with a number of Bulgarian scientists-statisticians was emphasized. The scientific heritage of one of the classics of the Bulgarian Statistical School is presented, and the article provides a list of fundamental scientific papers by Academician Stefanov.